Why does the sound of water make you healthy? Many people swear that the sound of water helps them sleep and stay healthy. The crash of the ocean waves, the sound of sparkling water, the crush of water bubbles and the pitter-patter of rain on shingles always has certain forces that work to relax your mind and relieve you from the pangs of stress and depression. In this brief, we will try to answer the reason why the flowing aqua apparently has such a powerful effect. Some people argue that we love the sound of moving water because that is what we used to hear from the stay in our mother’s womb. Along with the sound of her beating heart, that is the next thing that we were used to in our mother’s womb and that is what made us calm. I was even told that what made us calm and stop stressing our mothers was the sound of her moving blood. Those are just tales but the reality is everybody can find comfort at a river bank or even just watching and listening to the flow water in a water fall. A researcher in our school studying the effects of mindfulness meditation said that the sound of water had strong alpha waves which induces alpha activities in our mind and correlate to relaxed meditative activities. Although there cannot be a single answer as to why we get a state of wellness after listening to the sound of water, there are several theoretical explanations. Some of them relate to our ancient time when the species were believed to develop close to water and others relating to the human behavior. One of the simplest way to explain the soothing effect of water lies in how the human brain works. Our brains has a mechanism to interpret the sound we hear and utilize it to give different emotional changes that affect our way of life. 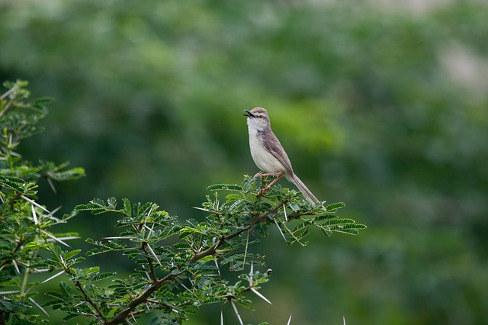 Whether they are the voices of the wind in the trees, the soothing sounds of birds and other insects outside or the sound of rain drops on dry leaves, our mind can be able to differentiate. These slow but soothing sounds are sounds of no threat. Stress, lack of sleep and depression can affect our health in many ways. In most cases, stress can result to depression, suicidal thoughts, high blood pressure and heart diseases. What this means is that if you can be able to deal with stress, then you will save yourself from other health threats. 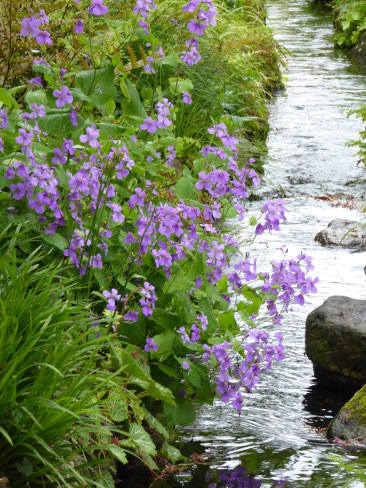 The sounds of nature such as the sound of water have a soothing effect that works to calm us. An associate professor at the Pennsylvania State University, Orfeu Buxton said that the slow and whooping noises such as that of moving water or that created by rain drops are sounds that portray peace and that is why they calm people. Louder noises tend to be hander to let us sleep and in some cases can be threatening. The volume of sound can also activate the so called threat-activated vigilance system and that is what can determine our ability to deal with stress. The type and the volume of a voice determines whether you will find sleep or not, whether you will be able to listen to yourself further or whether you will not, whether you can control yourself or if you will just lose control. The voice of water especially from the crushing waves can vary considerably in volume. They can range from quiet intervals followed by crescendos which can rise and fall in intensity and that is what makes it great for relaxation and reducing stress levels. The other benefit of the sound of water is that it can increase concentration. The Arabs have been implementing this method for centuries now and the results are pleasing. That is the reason why majority of Arabs have fountains for small canals in certain Arab houses. Playing the sound of water affects the bodily systems that control the flight and consequently digest autonomic nervous system. That is what gives the brain a resting activity and it can change our minds and bodily systems helping us relax. A research that was carried forth by the researchers from Brighton and Sussex Medical School found that listening to the sounds of water affected the body system that control the flight-or-flight. The resulting effect is injected to the autonomic nervous systems which impacts directly to our moods and stress management. The lead author, Dr Cassandra Gound Van Praag Said that there is an associated relaxation and switching off that comes from taking a walk along an ocean or just staying at the banks of a flowing river. If you can be able to manage your stress well and at the same time be able to concentrate and determine what is stressing you, then you are lined towards a healthy life. Stress management helps in controlling the emergence of several diseases and disorders that could otherwise have impacted directly to our daily life. There are several ways in which the sound of water can make you healthy. Now that we have understood how the sound of water can help you reduce stress and improve concentration, let’s see the resulting happiness from listening to the sound of water. Spending some time outside at the beach or close to the moving water will not only let you breathe fresh air but also get the propitious serving of vitamin D from the sun. The soothing effects of the sun combined with the endorphins you pump by swimming or just staring at the water will leave you happy. You will start concentrating on things that make you happy and forget the worries of life. There is a scientific evidence that you will most likely leave the beach or the river bank with a pep in your step. Science of nature shows that there is something inherently peaceful about the open water that can relieve you all the worries. Studies have linked a day out on the shoreline with reduced stress levels, reduced anxiety and depression and ultimately good health. Beside other health benefits of the sound of nature, the sounds of the water is a nature’s lullaby. The human brains will interpret the sounds of water as peaceful sounds and alert our body that there is no need to wake up. The condition of sleep deprivation can be a resulting factor on several health conditions. It can range from chronic to acute and in some cases can affect your daily life. A chronic sleep restricted state can cause daytime sleepiness, fatigue, clumsiness and weight gain in some people and others weight loss. One of the health benefits of the sound of water is that it can induce sleep and make you healthy. If you don’t get enough sleep, then you can also have wrinkling and other skin related conditions. There is significant increase in the visits at the Spa in the United States where majority of the people do so for hydrotherapy. 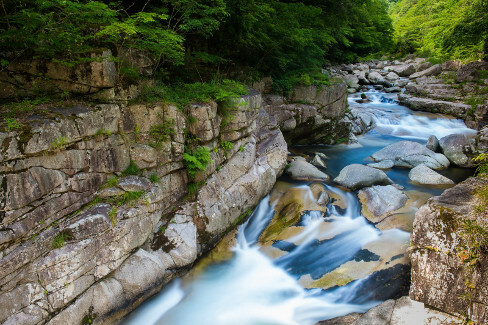 The sound of flowing water has long been associated with meditation, a well-known relaxation method that has been in use for several years now. 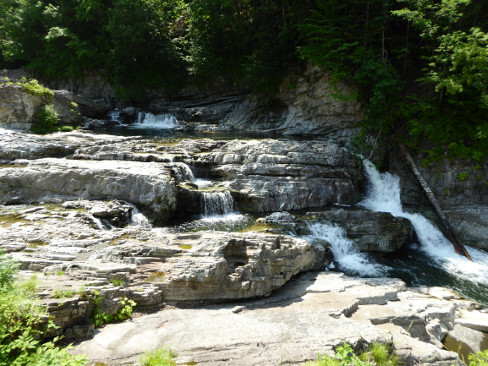 Moving water sounds are characterized as white noise. What this means is that you can hear several things at the same time. Some research shows that even if you went out with your friends and all of you listened to the sound of water, each individual will hear different voices. Just listening to the sound of nature and not tying it to anything is one of the ways to let go most of your worries. Water sounds are also valued for drowning other outside voices that can hinder you from concentrating and from sleeping at night. Most of the parents are now purchasing Nature sounds for babies and infants to soothe them and make them sleep especially when the kid is not feeling well or is tired. As we have already established above, one of the main reasons why adults need water sounds is for sleep and meditation. Many adults use the sounds of water to create a calming, relaxing and a peaceful atmosphere to escape from the stresses of everyday life. They are a helpful way to regenerate the body and soul after stressful hours at work. Stress and tension can affect productivity at work and also cause other diseases. Sounds of nature are beneficial for seniors for meditation and reflection. They can help stimulate memories and transport the user to a place of long memories. They are beneficial to avoid the stressful life of old age which can deteriorate their health. Many people who have listened to the sounds of nature reported having an increased feeling of positivity. The sounds can also induce a beauty sleep on which you can have a deep sleep every night to make your skin glow and look beautiful. The above reasons are good enough to give the sound of water a go. If you need the sounds of nature and the sounds of water at your home then make an effort and purchase audio sounds for your nights and meditation. You can use them when meditating or when trying to untie yourself from stressful moments. Sound application "Sleeping garden" has various sounds of nature where you can enjoy sounds of water and other sounds of nature to relieve stress, anxiety and depression.